Can life emerge on planets around cooling stars? Astronomers find planets in strange places and wonder if they might support life. One such place would be in orbit around a white or brown dwarf. While neither is a star like the sun, both glow and so could be orbited by planets with the right ingredients for life. No terrestrial, or Earth-like planets have yet been confirmed orbiting white or brown dwarfs, but there is no reason to assume they don’t exist. However, new research by Rory Barnes of the University of Washington and René Heller of Germany’s Leibniz Institute for Astrophysics Potsdam hints that planets orbiting white or brown dwarfs will prove poor candidates for life. White dwarfs are the hot cores of dead stars and brown dwarfs are failed stars, objects not massive enough to start nuclear burning as the sun does. In theory, both can be bright enough to theoretically support a habitable zone — that swath of space just right for an orbiting planet’s surface water to be in liquid form, thus giving life a chance. The inner edge of that just-right zone is where a planet starts to become a runaway greenhouse, such as Venus. That heating phenomenon removes the planet’s surface water and all chance of life — of habitability — is forever lost. White and brown dwarfs share a common characteristic that sets them apart from normal stars like the sun: They slowly cool and become less luminous over time. And as they cool, their habitable zones gradually shrink inward. Thus, a planet that is found in the center of the habitable zone today must previously have spent time near the zone’s deadly inner edge. Because of their past, such planet would “face a difficult path to habitability,” Barnes said, even if they’re discovered right in that habitable zone. Call it a sort of cosmic background check, revealing that the worlds probably lost the means to host life long before they became habitable zone residents. 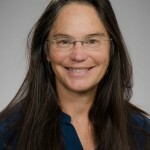 Barnes is the lead author of a paper published in November in the journal Astrobiology; and Heller is co-author. For more information, contact Barnes at 206-543-8979 or rory@astro.washington.edu; or Heller at (0049) 331-7499-683 or rheller@aip.de.